Well, it worked so well to get far right authoritarian Donald Trump into the White House, so what the heck? Why not try it in France, too? Macron team blasts ‘massive hacking attack’ on eve of vote. 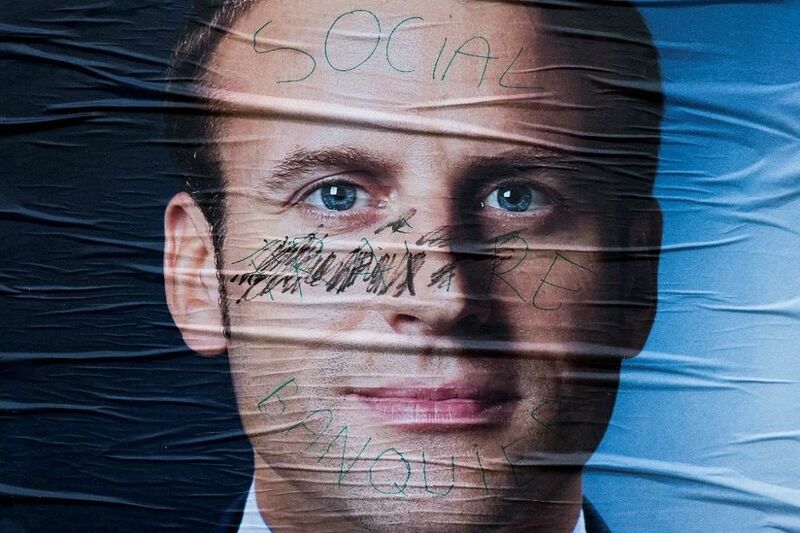 The campaign team of French presidential candidate Emmanuel Macron on Friday confirmed it had suffered a “massive and coordinated hacking attack” after internal documents were released online, slamming an attempt at “democratic destabilisation”. “The files circulating were obtained several weeks ago due to the hacking of the personal and professional mailboxes of several party officials,” Macron’s En Marche! (On The Move) party said in a statement, just as campaigning officially ended ahead of Sunday’s election. The online leak shortly before midnight on Friday came barely 24 hours before Sunday’s final round of the presidential election — one of the country’s most dramatic in decades — in which the centrist former economy minister faces far-right leader Marine Le Pen. It noted that the release came “in the last hour of the official campaign” and that it is “clearly a matter of democratic destabilisation, like that seen during the last presidential campaign in the United States”. It’s clearly no coincidence that these hacks are intended to help the openly antisemitic candidate from an extreme right wing group with ties to Holocaust deniers and Nazis: Marine Le Pen. And guess who appears to be behind it again?